Change is constant and challenging. The real estate industry is evolving at a rapid pace and requires a unique set of leadership skills to survive, let alone succeed. Coldwell Banker Flanagan Realty has successfully charted and navigated real estate's challenging course for forty years. While we may not be the largest brokerage in town (around 50 agents right now), our "awesome" team of real estate agents out-produces most local real estate offices 4-5 times our size. Be better by caring more. Our Founder (Original Leader), Brian Flanagan, once stated; "take care of your clients and customers and your success will take care of itself." Care is the one constant, the one immutable truth. "People don't care how much you know until they know how much you care." Coldwell Banker Flanagan Realty has been caring for our real estate clients and customers for 40 years. We are GROWING (3 locations in Ocean County) and looking for "Career Focused" real estate agents who want to lead and grow too. We OPENED our 3rd Branch Office in Bayville (February 2018)! 1. Real Estate Agents - We want motivated and talented sales associates (leaders) to play a big role in our growth. 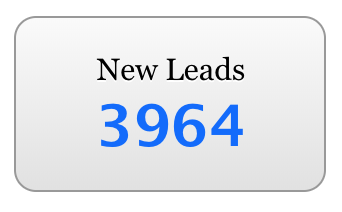 Our "awesome" sales leaders are slammed with leads. We have a targeted list of interested leads for you to follow up with already and MORE on the way! Are you a fit for Coldwell Banker Flanagan Realty? Email us your résumé and cover letter. Responsibilities include scheduling appointments with sellers and buyers, taking listings, performing open houses, showing homes, closing sales, making phone calls and communicating efficiently with the rest of the sales team. We do ALL of the marketing for our sales team. That's right; we do it all. All we want you to do is "be better by caring MORE" about our clients. 2. Inside Sales Agents (ISA) - We want 2 or 3 very special sales representatives. People who are not afraid to "talk" to people! Our lead generation system is currently producing an average of 14 NEW leads per day and we have OVER 15,000 leads "incubating" in our database. We need leaders willing to listen to them. Responsibilities include scheduling appointments, making about 50 phone calls per day and communicating efficiently with the rest of the sales team. 3. REO Facilitators (requires valid NJ real estate license) - We're looking for 2-3 "structured" individuals to help manage a large, diverse portfolio of REO (Real Estate Owned) "assets" throughout Ocean, Monmouth and Middlesex Counties. Responsibilities include routinely visiting "assets", weekly reporting to our REO Director and communicating efficiently with the rest of the sales team. Culture is the key to building a successful team of real estate leaders and our team of awesome leaders BELIEVE in "being better by caring more". We believe the more we care about each other, the more care we will provide our clients and customers. Awesome people + an awesome brand = an awesome career. Want to Lead with Flanagan?